Kindle some Christmas warmth with a visit to Downtown Hammonton today (December 19th) for Third Thursday: Glitz, Glimmer & Holiday Shimmer. Visitors to the Noyes Museum Shop can take advantage of their sale where everything is 20% off. And with every purchase made, you can enter for a chance to win a gift basket filled with beautiful art & fine crafts valued at $200.00. So grab a delicious winter warm up with a complimentary cup of hot chocolate from the hot chocolate bar, whilst you enjoy the Holiday Bazaar featuring an eclectic array of fine art and handcrafted items from over 30 skilled local and regional artists. Got Sushi? 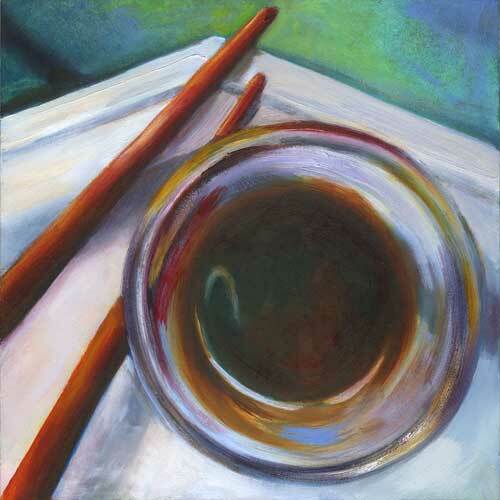 oil : 8x8"
Got Sushi? has been chosen for this year's Metro show at City Without Walls in Newark, NJ This small works show will be in Newark until March and then it is off on its travels around NJ in 2014. Come out to Maplewood this Sunday 8th and meet the Abominable Snowman! 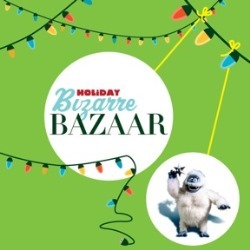 Drop by the Maplewood Women's Club 10-5pm for the Bizarre Bazaar. Bring the kids and have your family portrait taken with the Abominable Snowman and then indulge in Cedar Ridge Cafe and Bakery's delicious goodies with some hot chocolate, whilst you peruse the fair. 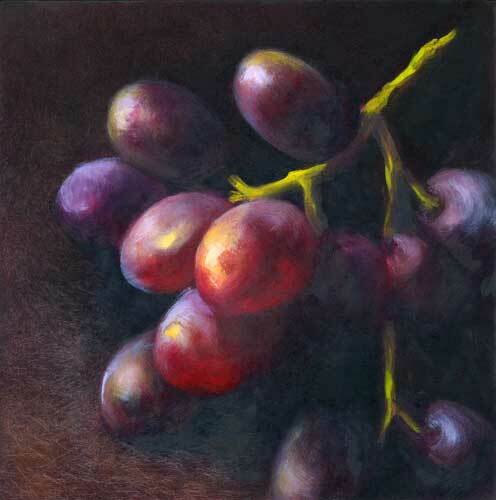 Wine Dark : oil : 8x8"
So are you looking for a unique splurge gift for your sweetie? Or something to stuff a stocking? Or a delighting thank you gift for your gracious hostess this year? BANG has drawings, paintings, photography, sculpture, ceramics, lots of jewelry, striped sock toys, metal ornaments, note cards, calendars - hey we could be your one stop shop this year! So come on by for some hot mulled cider and a cookie or two, and squeeze a little Art Break in your busy Christmas schedule. 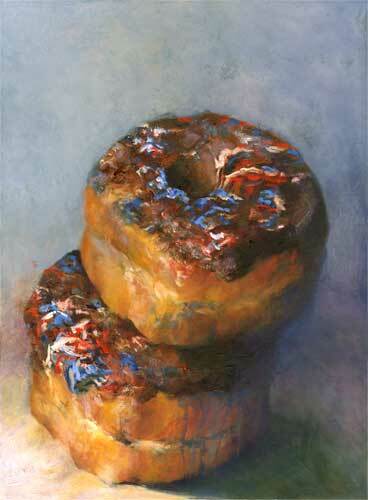 Blueberry Swish - oil - 7x5"
Stop by the Noyes Studios in Hammonton, NJ for their annual Holiday Bazaar. There will be jewelry, ceramics, paintings, prints, photography, glasswork and holiday ornaments to help you kick off your holiday shopping with some unique gifts. Free Admission AND a cup of complimentary hot, spiced cider - what more could you ask for? More time? You got it! 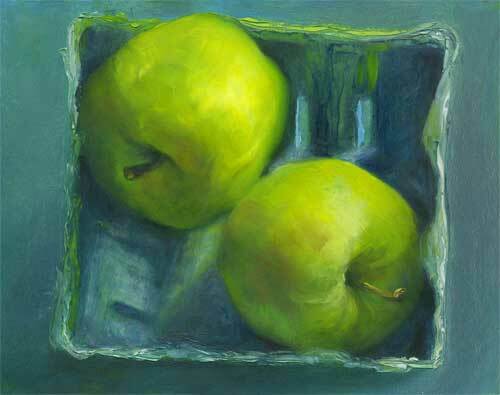 After this weekend, the show moves to the Noyes Museum Shop until the end of December. Ginger Gold : oil : 12x9"
With over 70 artists this year there should be be able to find a little something to warm up your home this fall, and with only 13 venues you can easily see the whole show! I shall be at Kathryn Joseph Salon, 168 South Street (@corner of Elm), along with Mike Dziomba and Chris Siasat. If you missed the show celebrating TEN years of South Orange & Maplewood Studio Tour, then you now have a second chance.